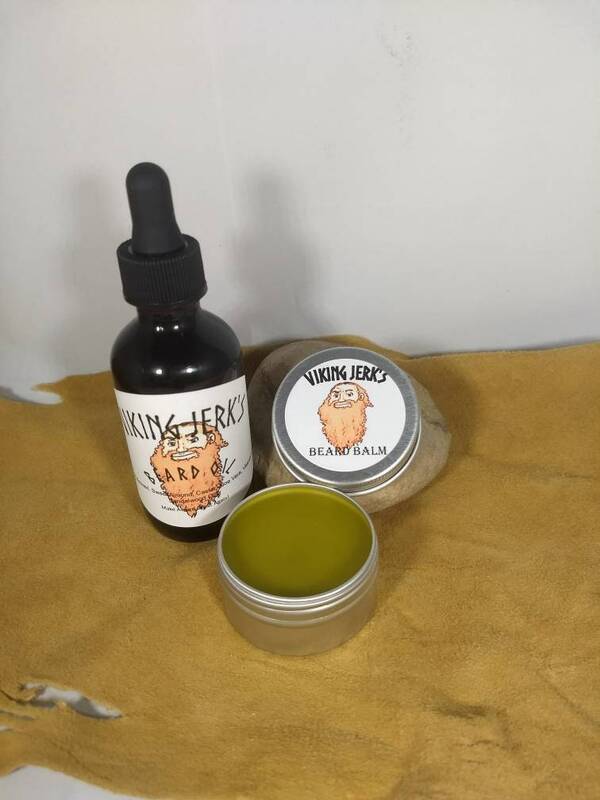 Our beard care line works best when used together to lock in the oils with balm to get longer lasting benefits with better control of your beard. 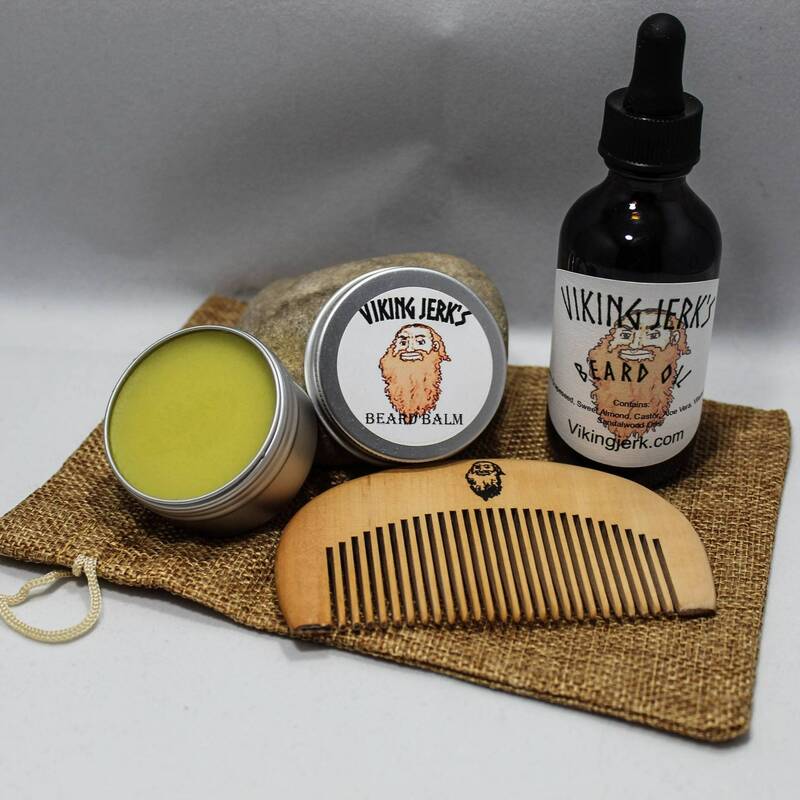 Try or complete kit with a 2oz oil, 1oz balm, and a Viking Jerk peach wood comb for everything you need to make your beard MAJESTIC! 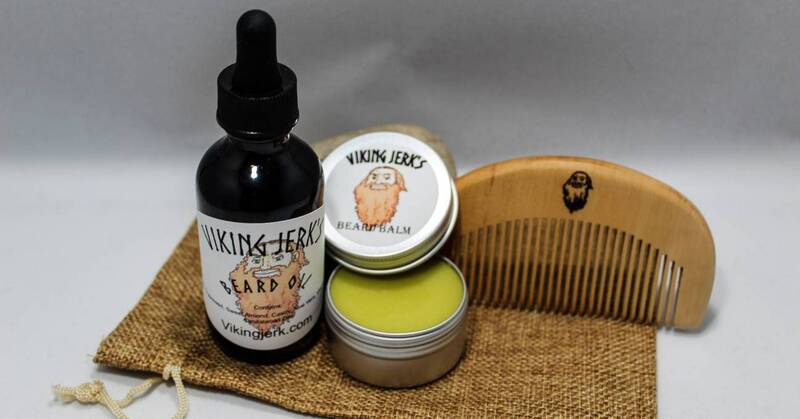 Viking Jerk's beard care products start with a base of hemp oil which allows our beard care line to be rapidly absorbed by the skin and hair. This leaves little to no oily residue in your beard throughout the day. Grapeseed oil which is a natural anti inflammatory. This helps prevent itchy, irritated skin and "beard itch". It also helps provide faster, healthier growth. Castor oil heals and prevents ingrown hairs, clears clogged pores, and increases blood flow for faster hair growth. It also prevents breakage, reduces split ends, helps straighten hair, and locks in moisture which leads to darker, healthier hair over time. Sweet almond oil makes hair stronger by rejuvenating protiens. Vitamin E and Aloe Vera oil promote healthier skin, because what's the point of having a great beard if there's no skin holding it on. 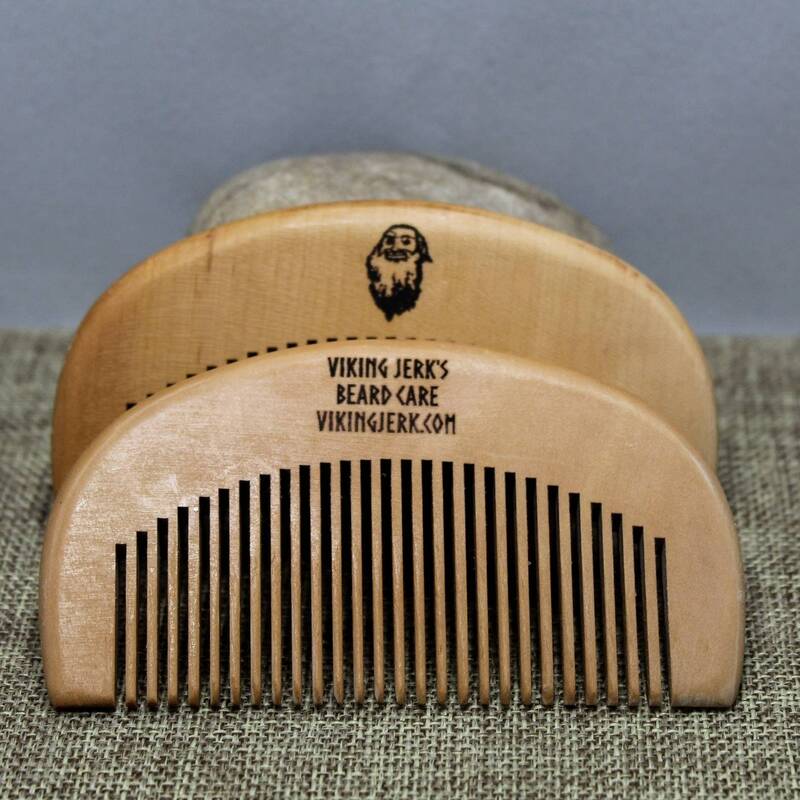 Lightly scented with essential oils our beard products have the light scent of sandalwood that is quickly absorbed into the beard. 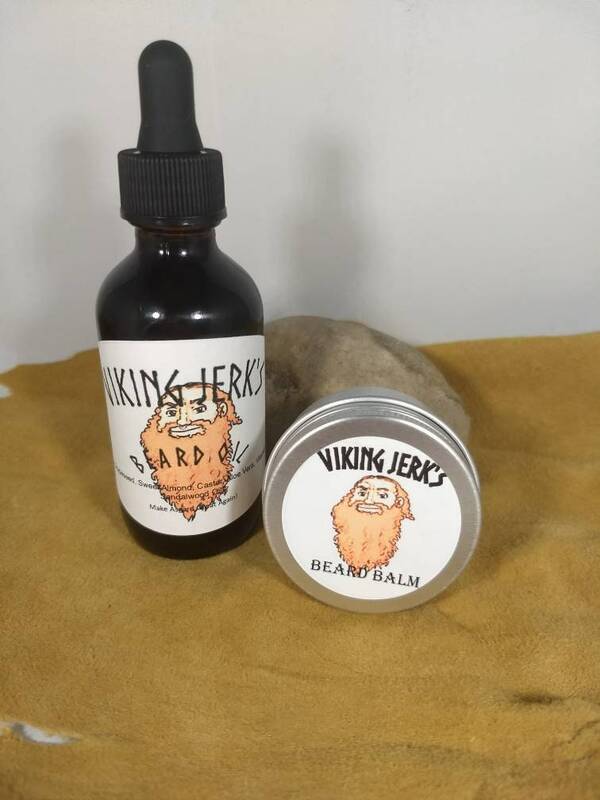 Viking Jerk's beard Balm also includes cocoa butter, Shea butter, and beeswax for better, longer lasting effects and frizz control. 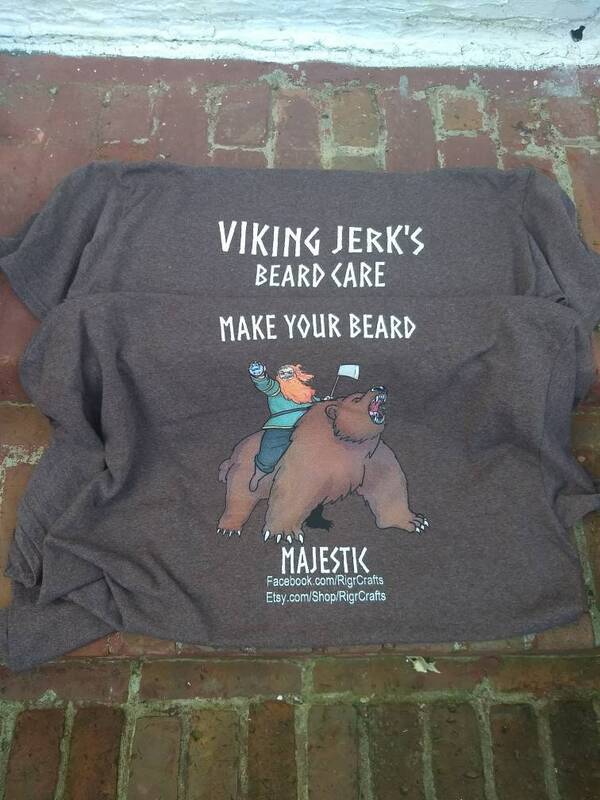 Because no one likes a frizzy beard. 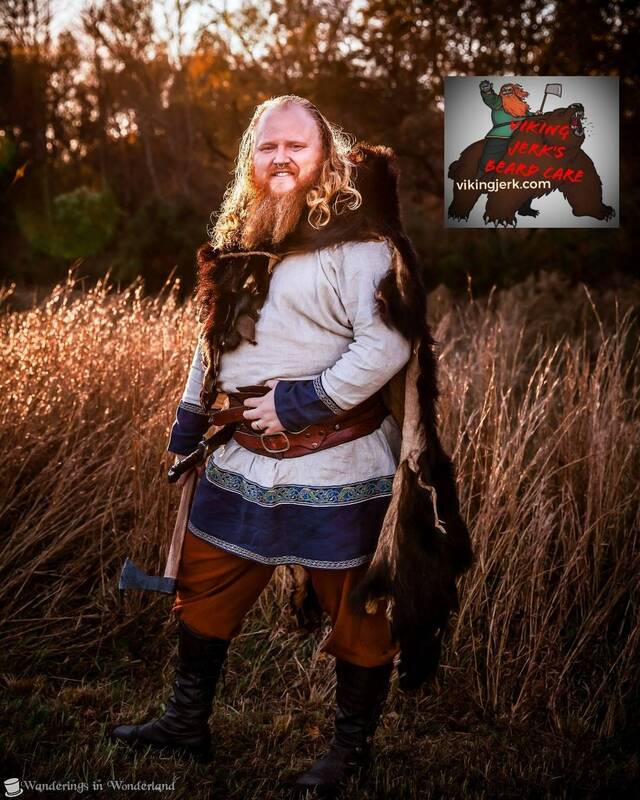 Visit www.vikingjerk.com for more scents, products, and bundles. Food and Drug Administration. These products are not intended to diagnose, treat, cure, mitigate or prevent any disease. Bought this for a friend but my husband commandeered it! 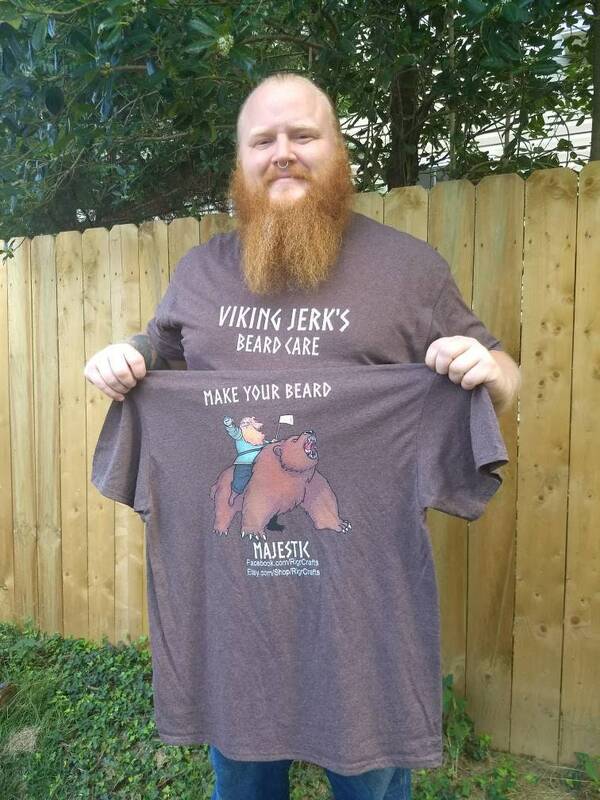 He never enjoyed shaving, but never enjoyed a full beard- until now. 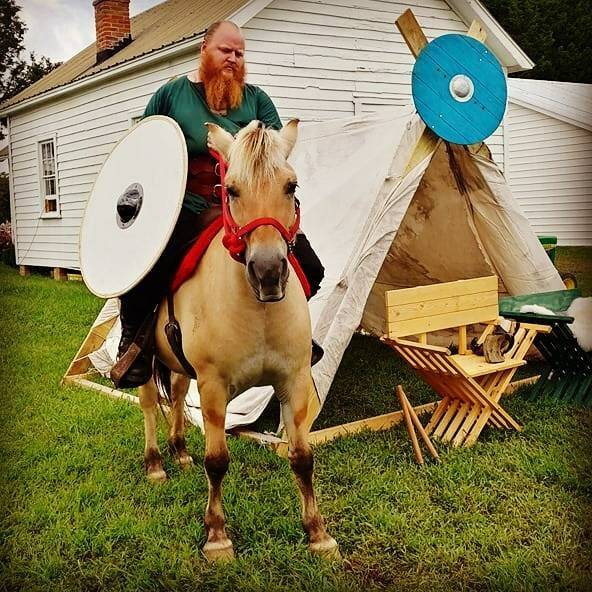 Viking Jerk products eliminated his itchy face, softened his whiskers, and has kept them tame. The kids used to say he was "prickly" when they would ask for kisses and now even the missus (me!) has no complaints! I also realized the potential for my own itchy scalp and hair care and made him share. 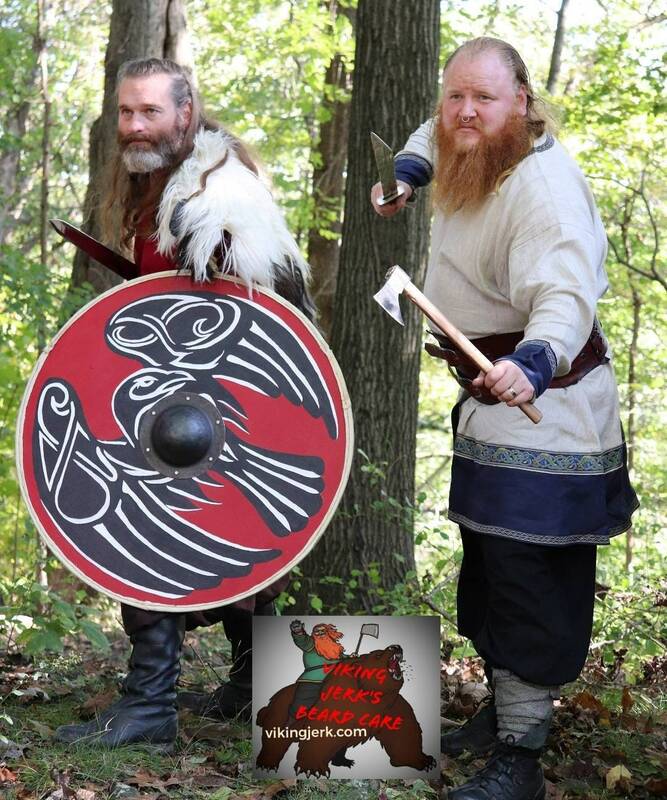 Am looking forward to trying the Valkyrie Hair Serum. I did order another bottle for my friend, and have placed a Christmas order as well! 10/10 would order from again! This is by far the best beard balm I'm tried. It's not greasy, and absorbed well. I'll definitely be buying this product again. Shipping was very fast as well.